Dewpoint Transmitter is certified for hazardous location use. 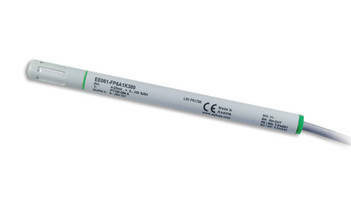 Humidity & Temperature Transmitter offers high sensitivity. Humidity Sensor/Transmitter has probe design. 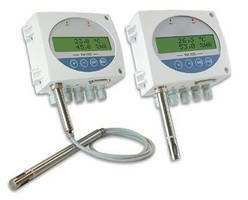 Humidity/Temperature Transmitter suits harsh environments. Series HHT Hazardous Area Humidity Transmitter is offered in explosion proof model, with 4 to 20 mA outputs for both temperature and humidity, and intrinsically-safe version. Both versions have optional 2-line alphanumeric LCD to show current humidity and temperature. 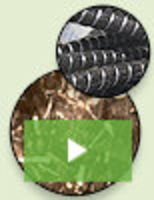 Transmitter combines humidity and temperature sensing. Dew Point Transmitter operates in pressures to 6,500 psi. 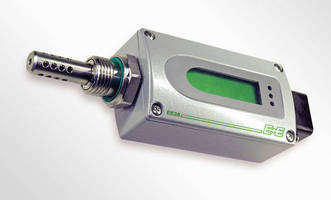 Compact Transmitter measures moisture content in oil.